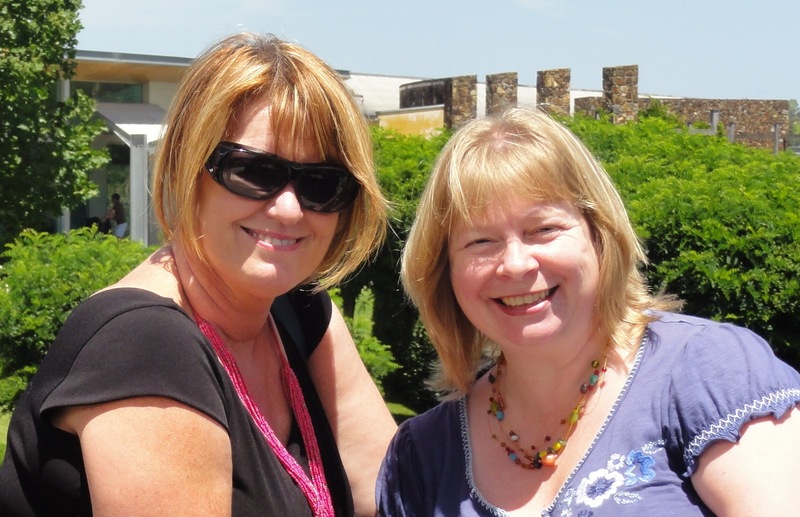 This is the 3rd in a series of blogs based on my recent visits to Singapore and Australia. 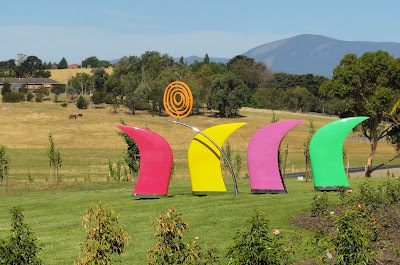 A visit to Melbourne isn't really complete without a visit to the Yarra Valley, in my opinion. 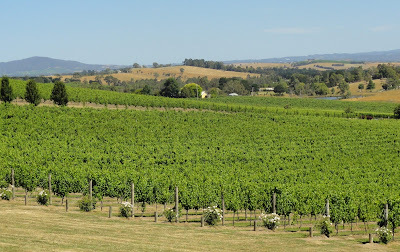 The Yarra Valley is about 50 kms / 31 miles from the CBD (Central Business District) of Melbourne. 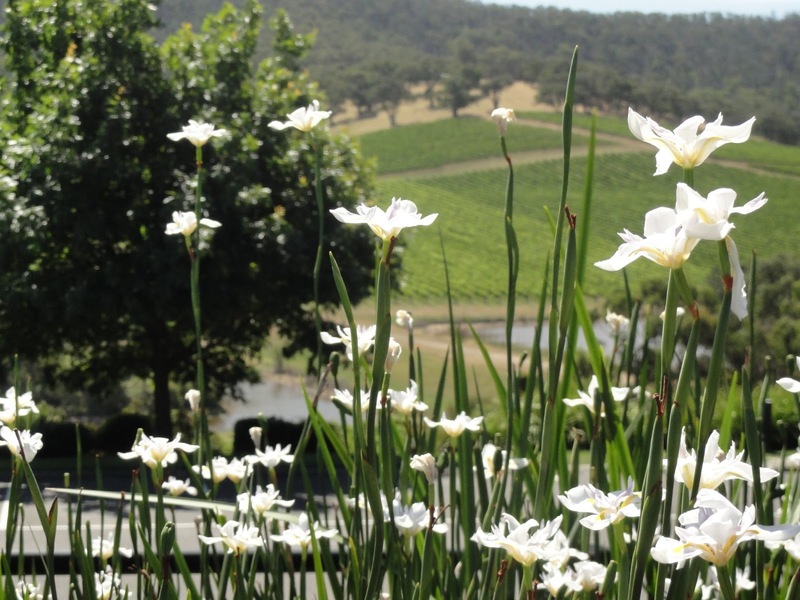 It is a key area for growing wine in Victoria, and has the benefit of being beautiful to travel around and not too far from the city to be able to do so. As anyone who knows me, or followed my twitter complaints when I was in Melbourne, it was bloody hot whilst I was there (28th December 2012 to 12th January 2013), and I don't do well in the heat. So I'm not interested in going on 150 mile long trips out to the bush. 30 miles was fine, and when suggested as a trip by my friends Kerri and Sharon, and their friend Ann, and it was only 25 degrees (coz this was an important part of the decision-making process! 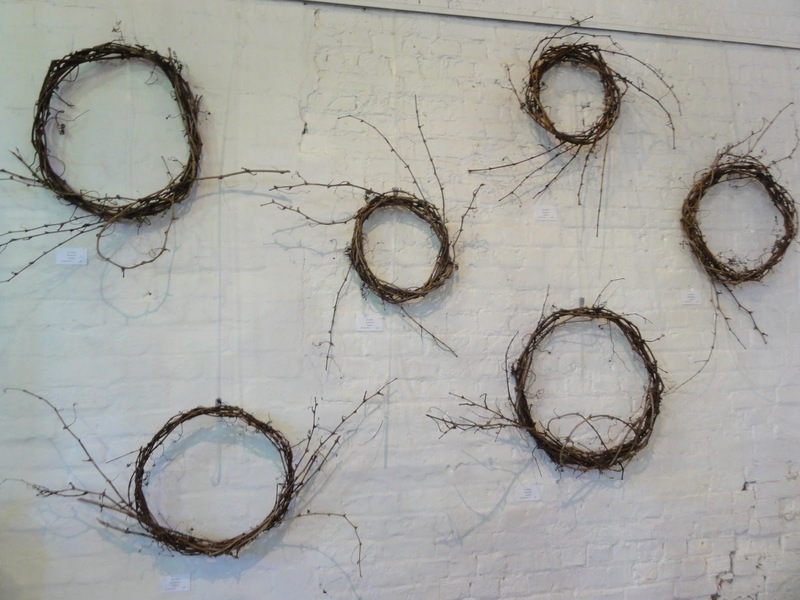 ), I jumped at the chance to visit again for the first time in 15 or so years. Our first stop was for lunch at the Yarra Valley Dairy. 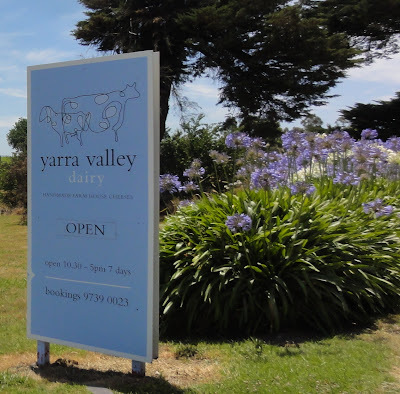 The dairy makes a variety of soft cheeses and you can enjoy a lunch of a choice of fresh cheeses, bread and other nibbles in the old milking barn, now a shop and cafe, and enjoy views over the valley. We did exactly that and gosh, was the cheese good. Probably the nicest soft white cheeses I've ever had and sadly couldn't bring any back with me. So you'll just have to take my word for it and go yourself when you are next in the area. 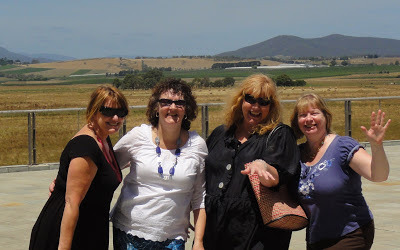 Yerring Station Winery was our first winery stop. 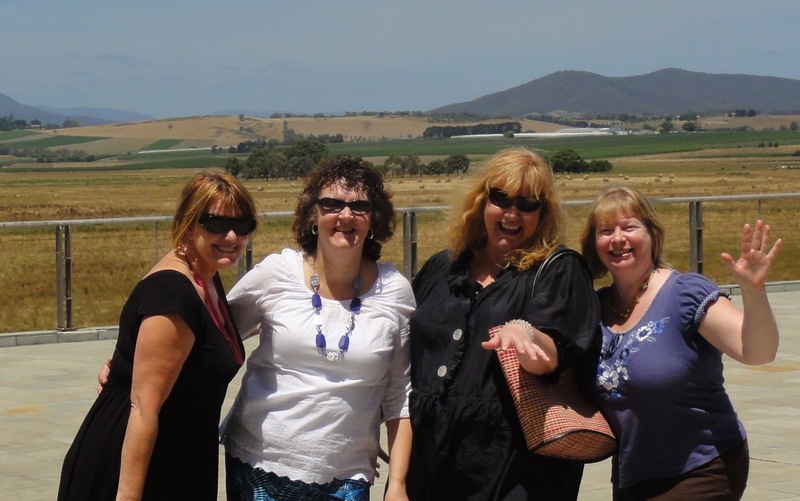 I should point out the irony in me touring wineries (and the rhyming?!). I don't drink alcohol. 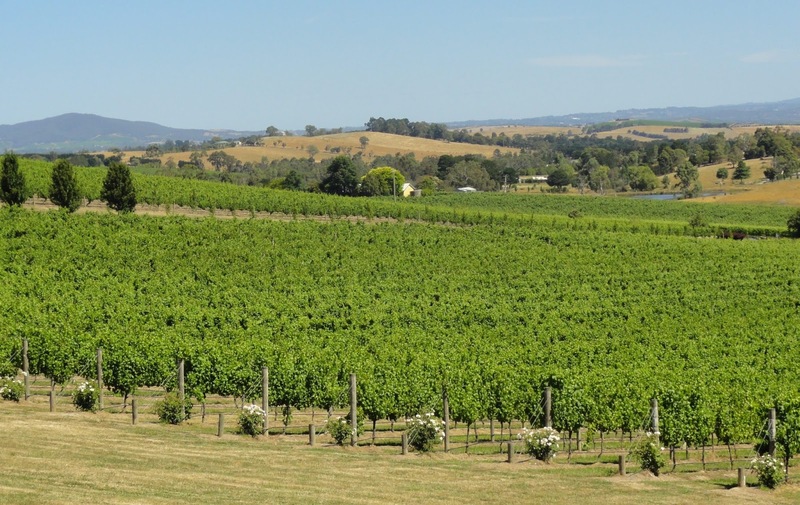 I used to, and I love Aussie wines when in my late teens and early 20's, but sadly when I hit 30 I started getting migraines from alcohol. First red wine, then white wine, then almost all alcohol. It was a sad day making the decision to give up drinking gorgeous Aussie wines, but I decided stopping the pain was more important! 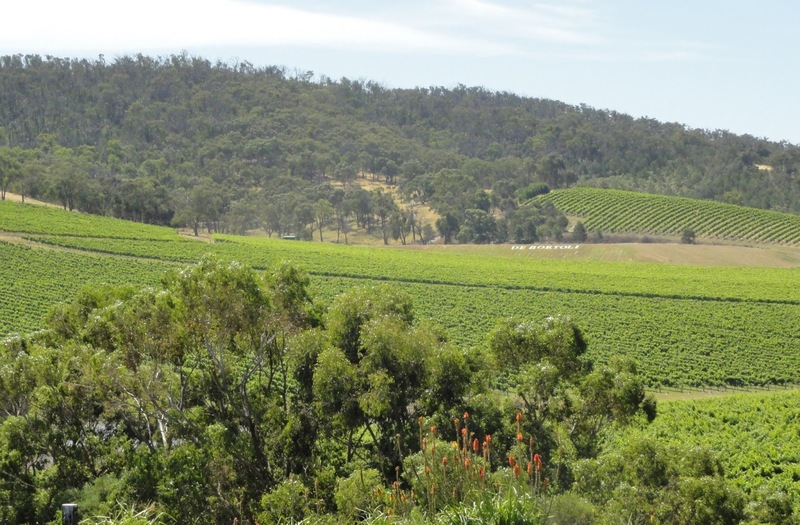 So why on earth would I enjoy touring around wineries when I cannot partake of the victuals?! Well it's much more than just about the wine. There are dairies, cafes and restaurants throughout the region, an it is well known for it's good food. Furthermore, wineries a generally beautifully presented, with flowers and trees as well as the vineyards, so there is plenty to see and do even if you don't drink. 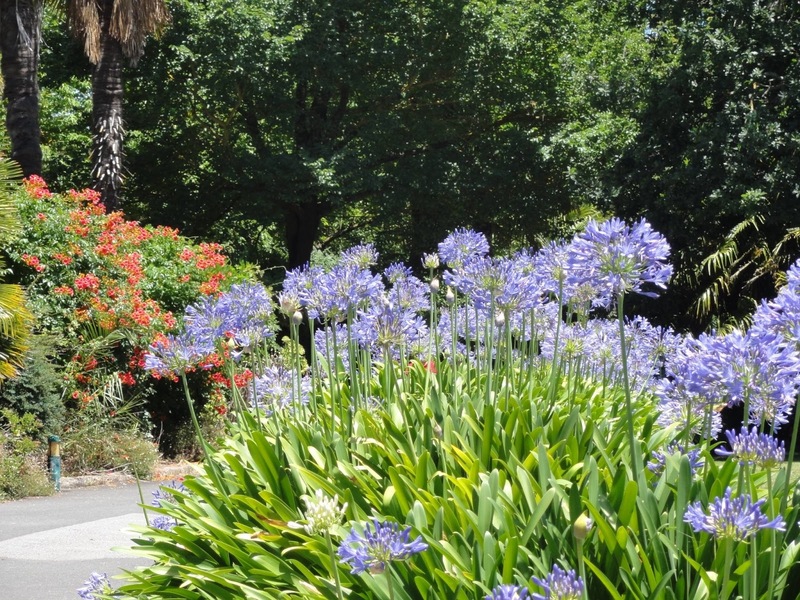 As you can see from the above and below, there is no difficulty in growing Agapanthus in Victoria and some other parts of Australia. It is just everywhere and though the blue flowers looked delightful to my 'just from British winter' eyes, it is actually causing a significant environmental problem. In Victoria, Agapanthus is considered a weed. A British persons tender perennial is a Victorian persons invasive species. 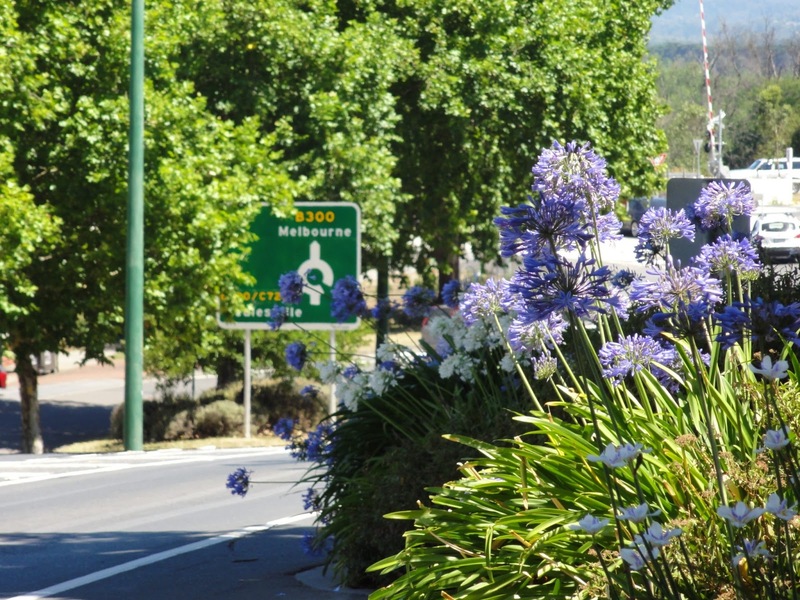 Agapanthus, freely growing by the roadside in the town of Yarra Glen. 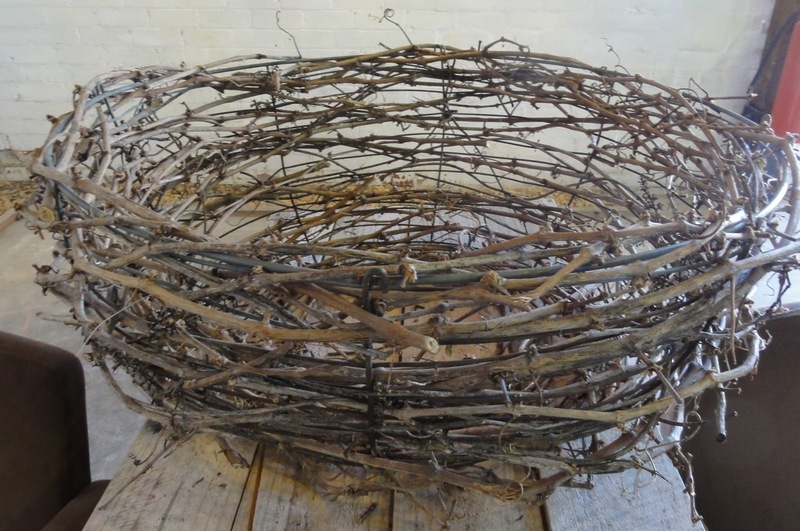 'Canoe' by Emma Blake & Sally Adams, made with grape vines. At Yerring Station and other wineries there was mass plantings of the lovely 'wild iris'. 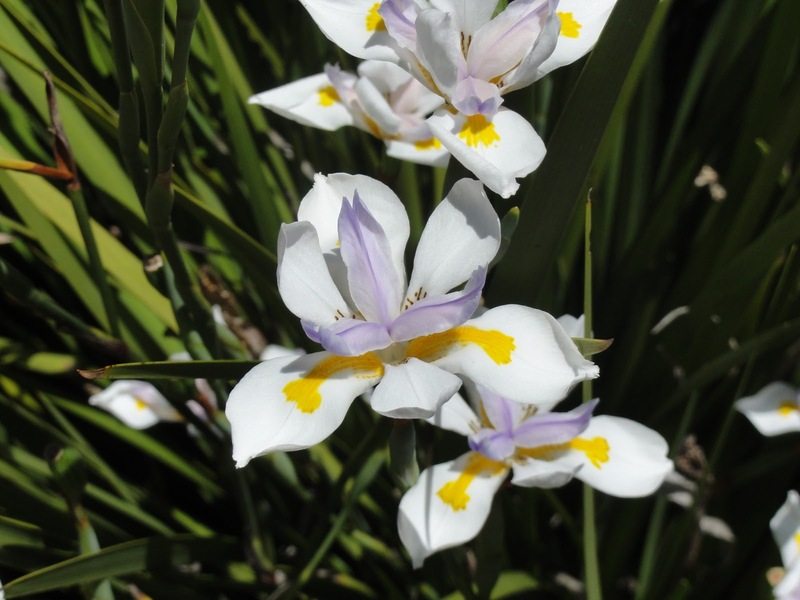 Though called a native, it is in fact Dietes grandiflora South African. Our next stop was Mandala winery. 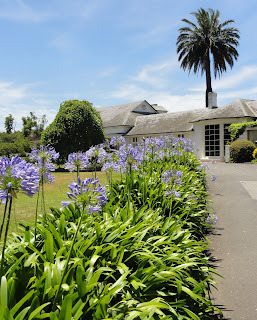 It is a newer winery and has lovely grape vines growing at it's drive in entrance. 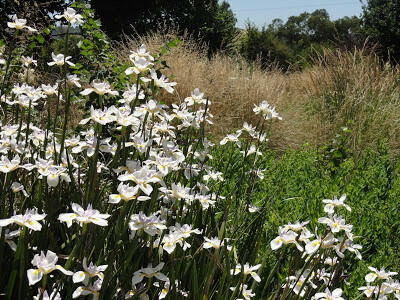 It's garden is young, but the contrast against the blue sky is lovely. 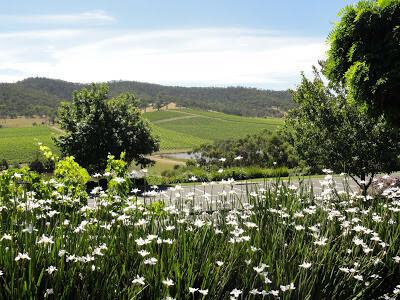 Following this we visited De Bortoli Winery, a long established vineyard in the Yarra Valley. 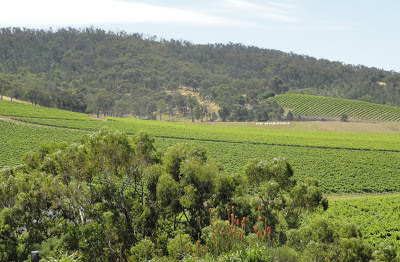 It was extremely fortunate to just avoid being burnt to the ground during the awful Black Saturday bush fires in February 2009. 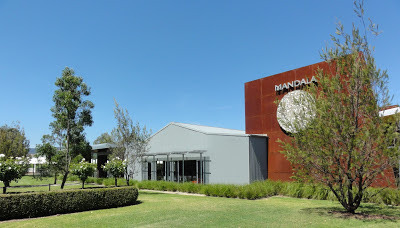 In the photos above and below, the tops of the trees at the top of the photos mark just how close the fire got to the winery before the wind changed. 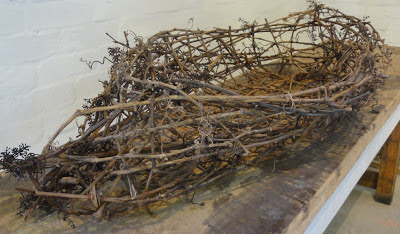 Although this winery was saved, over 173 people lost their lives and almost the whole town of Marysville was destroyed. It's a strong reminder of how tenuous life can be and and how it can change in a flash. De Bortoli, from the car park. As you can see, I'm rather enamoured of the iris Dietes grandiflora. Given it likes dry gravel, I don't have much hope for being able to grow it in Oxford/Sheffield! Our final visit was to the CHOCOLATE FACTORY. Emphasised because, well, it was a chocolate factory! Actually it was the Yarra Valley Chocolaterie and Ice creamery. EVEN BETTER. 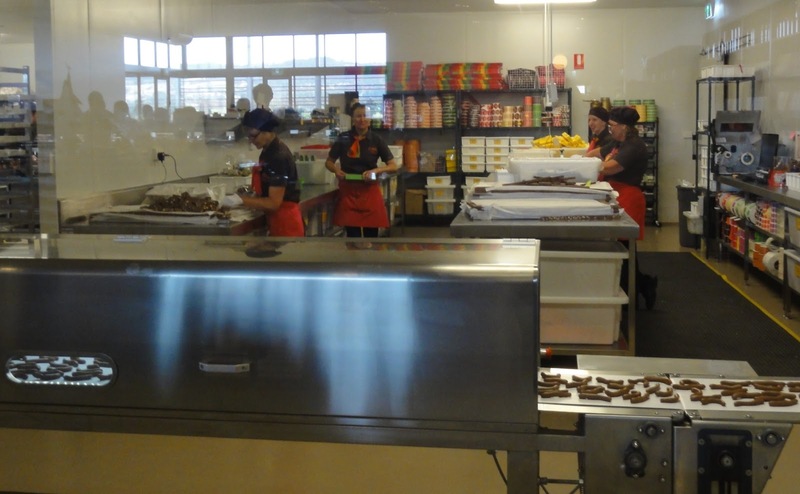 Chocolate making. And being Australia - chocolate snakes! By the end of the day I was full from chocolate, plants and lovely views. And from enjoying a great day with friends. Friends, plants & food, what more could you want?